Last updated 2:32 p.m. ET. 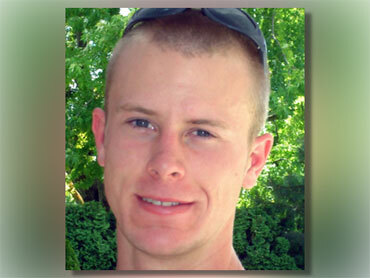 A soldier from Idaho who disappeared from his base in Afghanistan has been captured, the Pentagon confirmed Sunday, a day after he was seen in a Taliban video posted online. Even before his name became public, two U.S. defense officials confirmed to The Associated Press that the man in the 28-minute video was the captured soldier. The video, in which Bergdahl said he was "scared I won't be able to go home," provided the first public glimpse of the missing American. Bob Bergdahl, the soldier's father, told The Associated Press Saturday that the family was requesting that media respect their privacy. Before enlisting, Bergdahl worked as a barista at a coffee shop in Hailey, Zaney's River Street Coffee House, where a sign on the counter encouraged patrons to keep Bergdahl in their thoughts and prayers. "Join all of us at Zaney's holding light for our friend Bowe Bergdahl. Bowe has been captured in Afghanistan," the handwritten sign said. A similar message posted July 8 on the coffee shop's Facebook page suggests many in the small town have known for some time that Bergdahl was in danger. Friends and former co-workers at the coffee shop declined to speak on the record Sunday to an AP reporter, saying they were abiding by the Bergdahl family's wishes for privacy. A Taliban spokesman, Zabiullah Mujahid, said the militants holding the soldier have not yet set any conditions for his release.